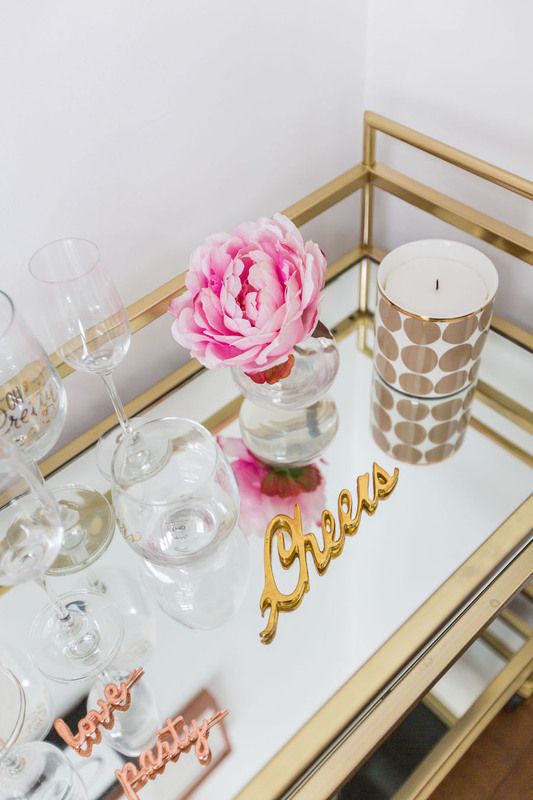 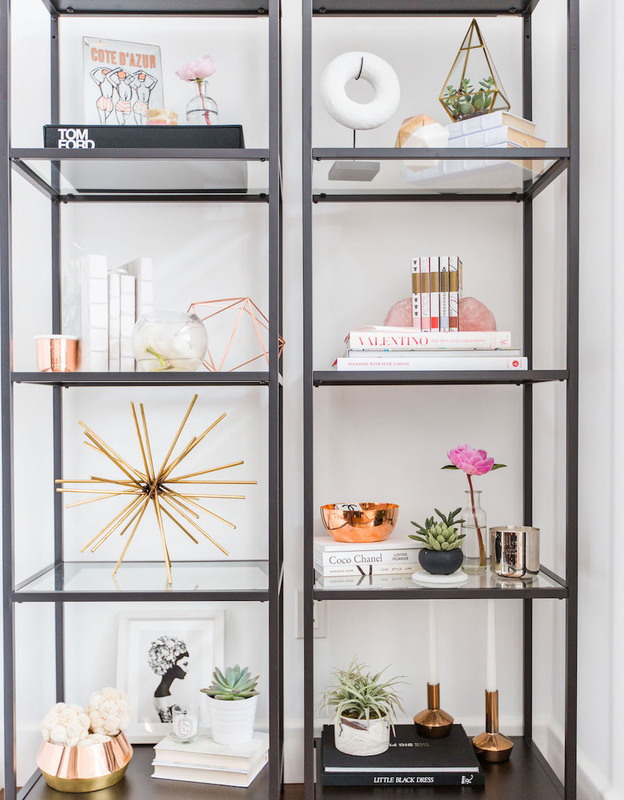 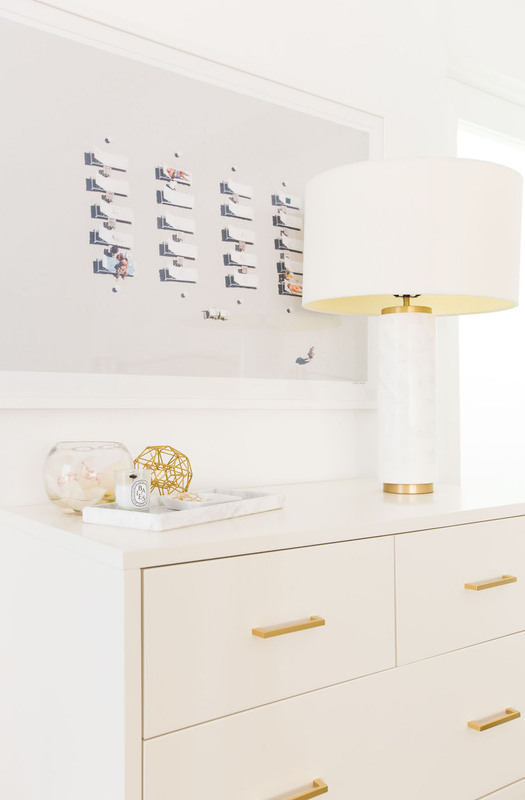 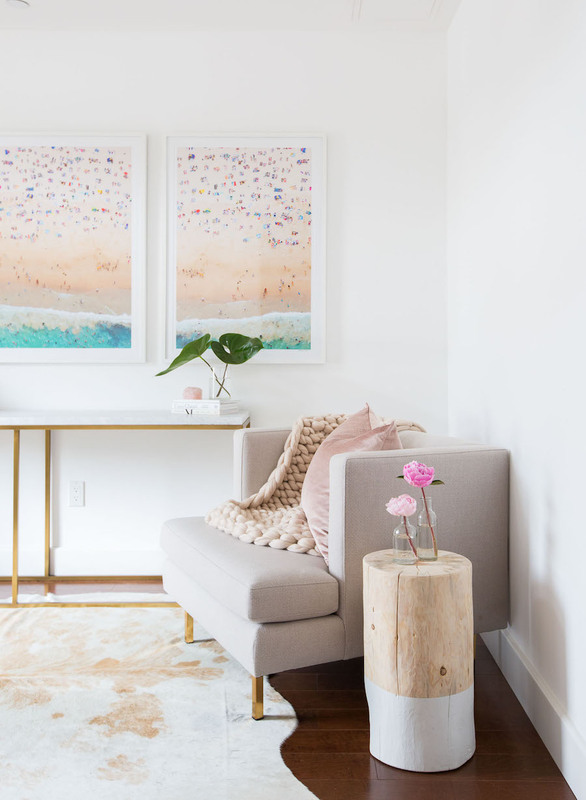 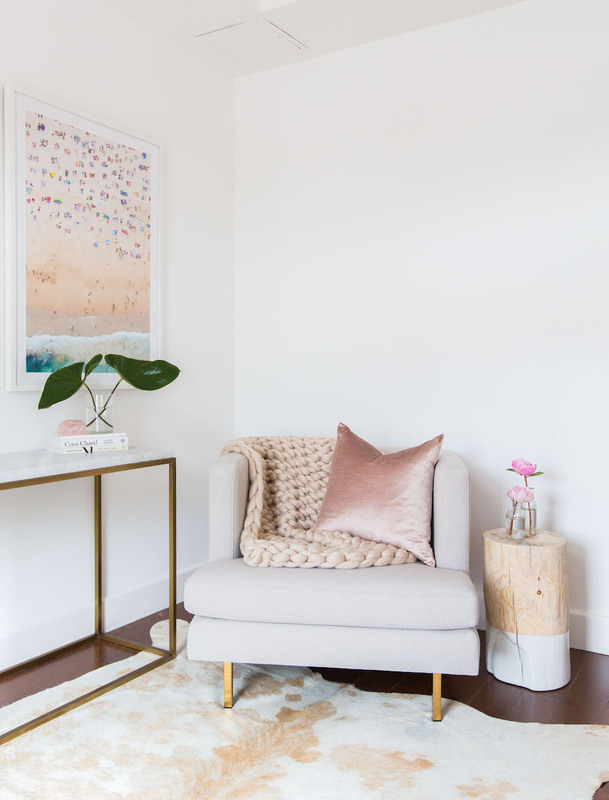 I absolutely love Marianna Hewitt’s gorgeous feminine space in southern California! 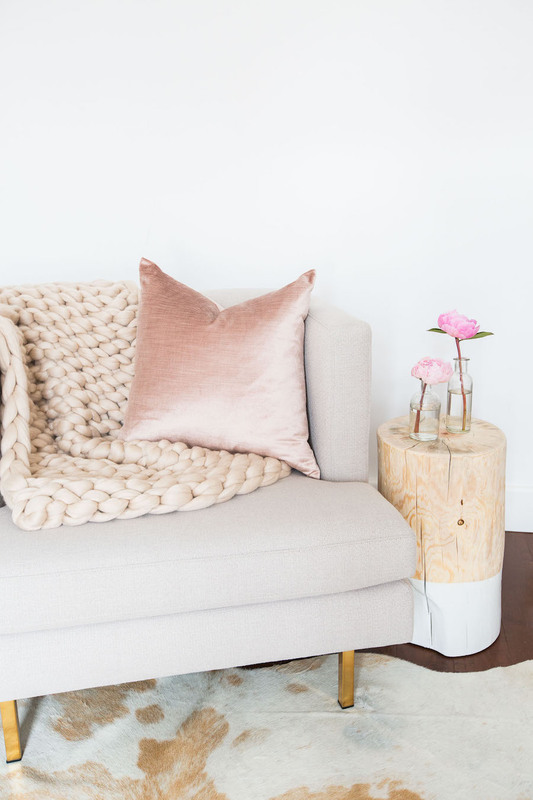 It’s everything a successful style blogger could want and more… The Life With Me blogger went with a gorgeous neutral couch surrounded by soft pink decor accessories like a knit throw and a cozy fur pillow. 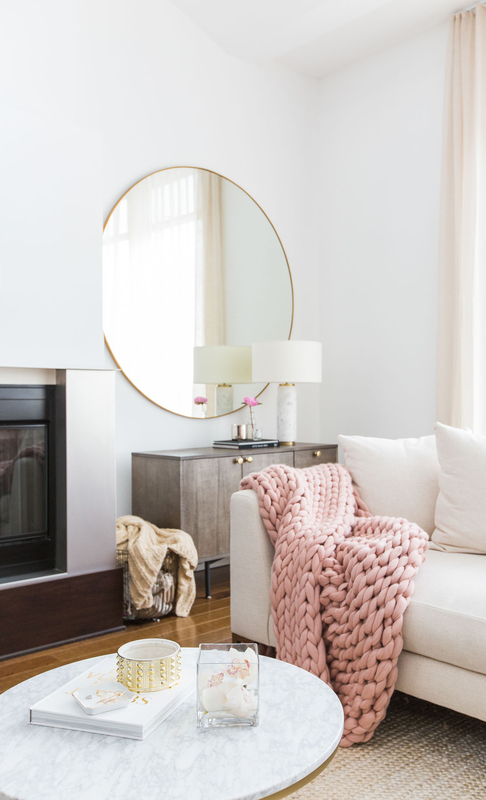 Near the couch, a gorgeous white marble coffee table from West Elm sits on top of a neutral rug. 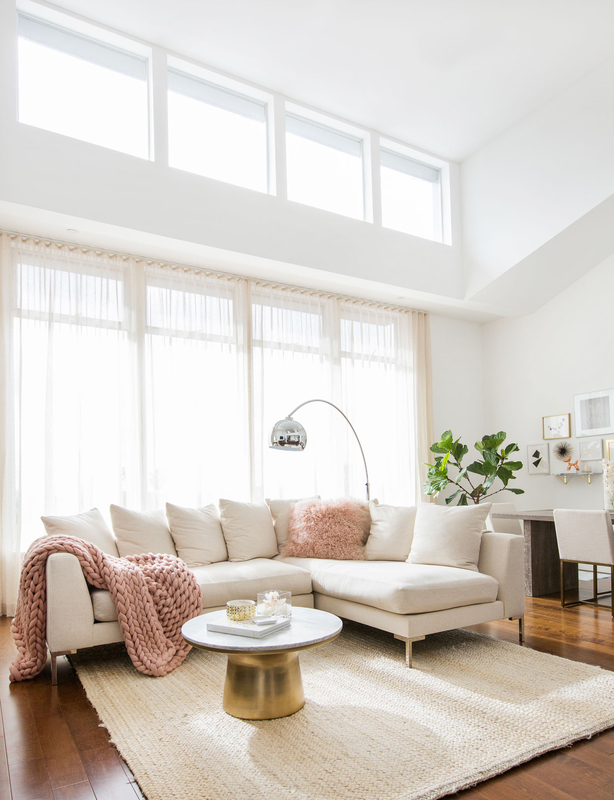 A large silver overhang lamp gently drapes above the sofa. 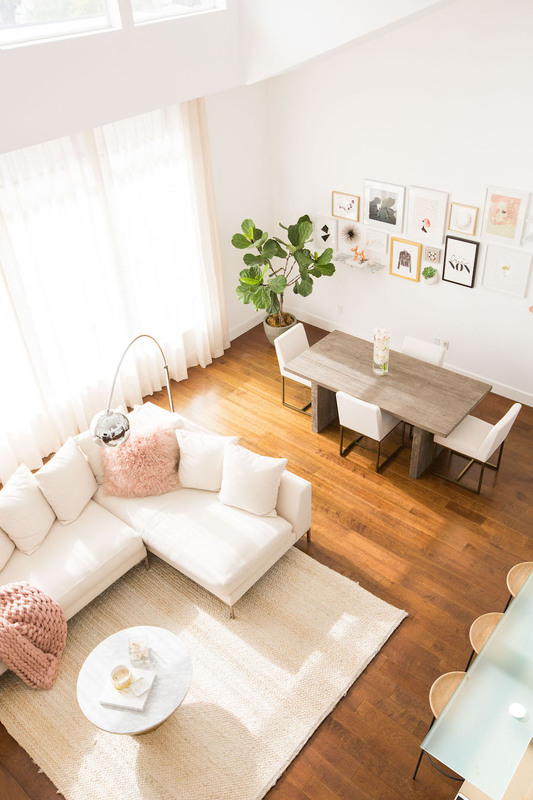 Sheer white curtains block out the streaming sunlight. 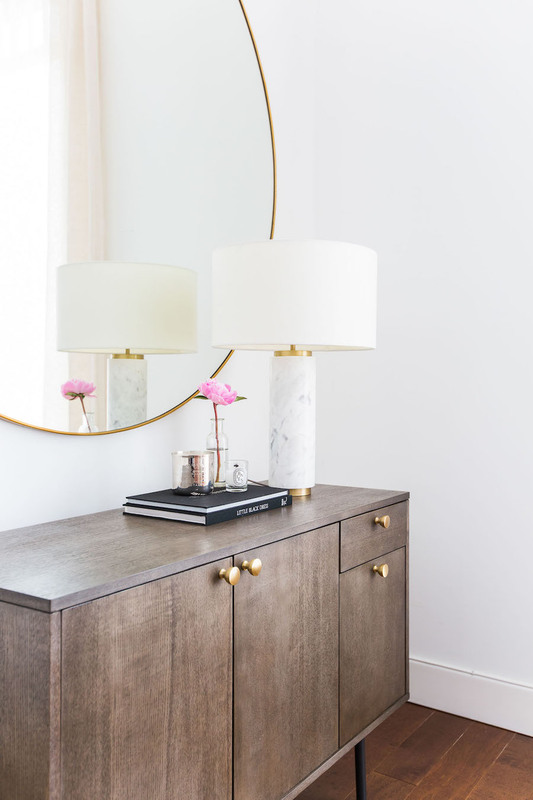 A dark brown sideboard rests beneath a large circular mirror and holds a white lamp. 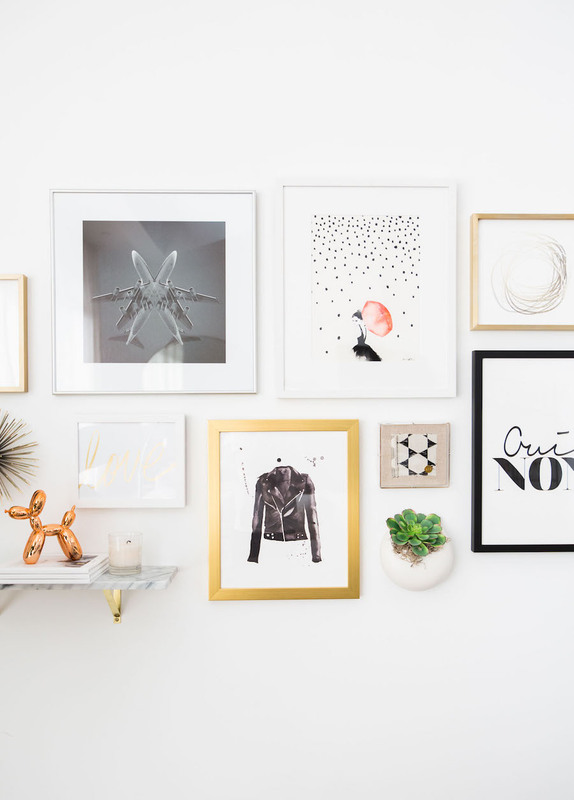 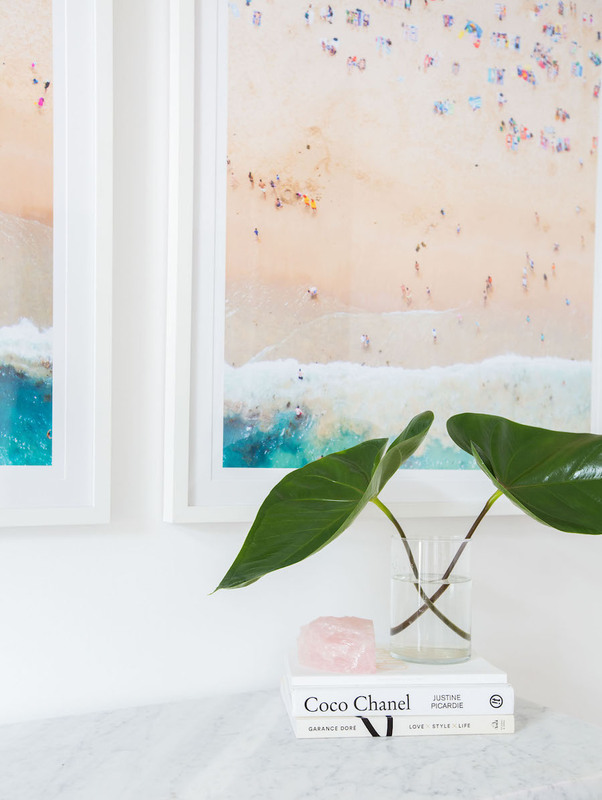 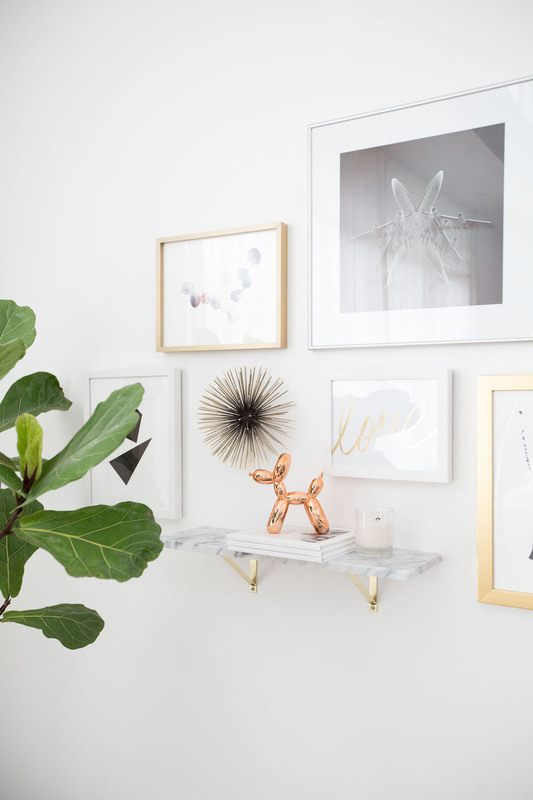 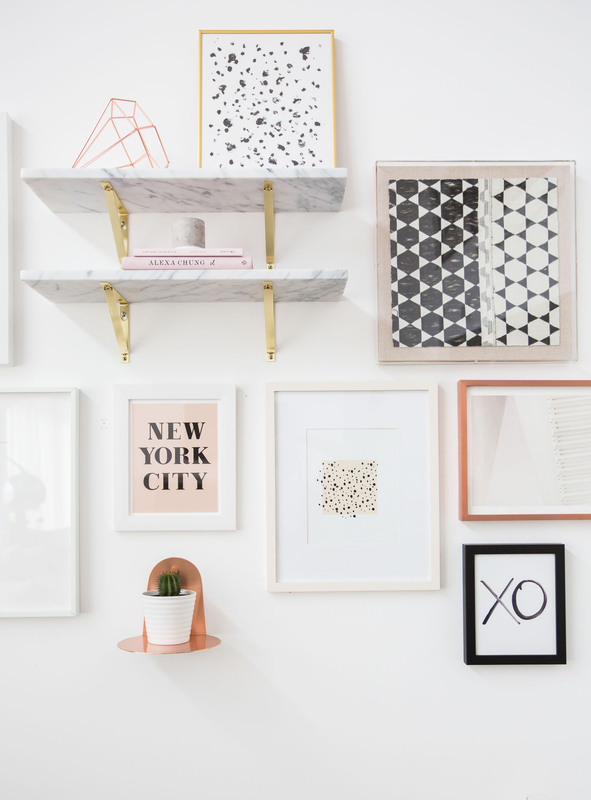 Marianna’s gallery wall is equally stunning where a mix of black, white, gold and pink frames are carefully placed on the wall. 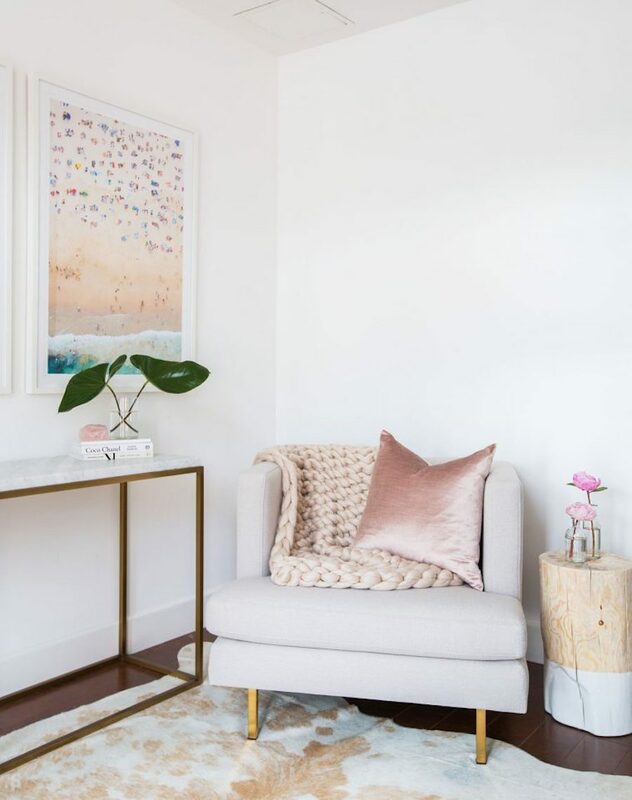 What a dreamy space! 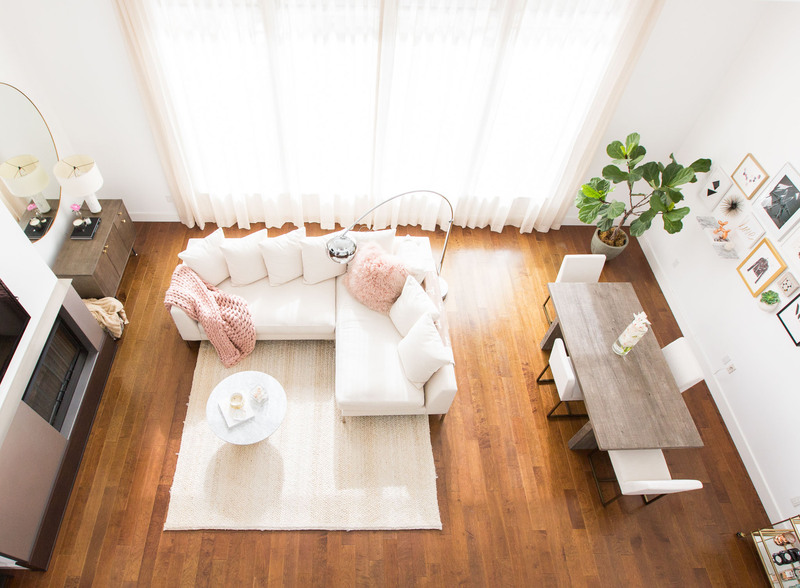 Next up, be sure to read our guide to picking the right coffee table!